Local mobile brand maker, Starmobile recently announced the most affordable Android Kitkat smartphone with 3G connectivity called Vida. For only Php2,490, the Vida is powered by a MediaTek MT6572 dual-core chip which clocked at 1GHz with 512MB RAM and 4GB internal storage that can expand up to 32 GB via microSD card. 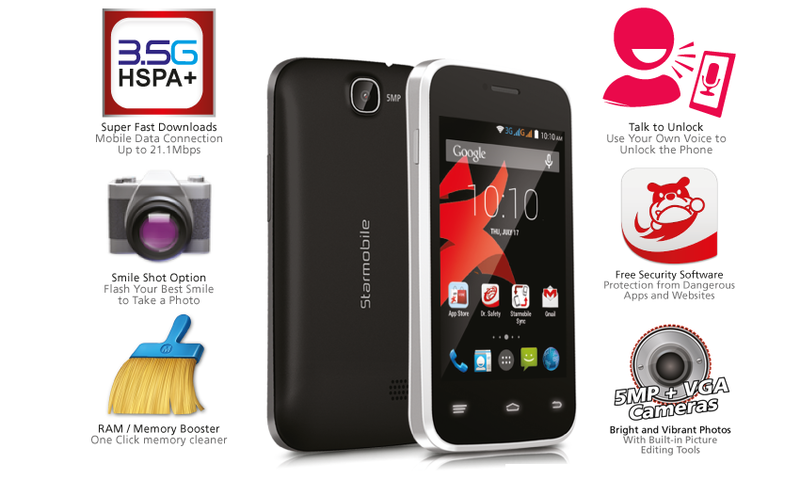 The Starmobile Vida sports 3.5-inch display with 1,300mAH Li-ion battery. There's a 5 megapixel camera on the back and a VGA on front. The Starmobile Vida cost Php2,490 with free phone case and screen protector out of the box.